Where Does the Practice of "Pouring One Out for Your Homies" Come From? Sawmillturtle asks: Would you be willing to look into the origins of “one for me and one for my homies” while pouring some drink on the ground? To most people the idea of “pouring one out” in regards to the act of pouring a small amount of some manner of alcoholic beverage onto the ground in remembrance of one’s dead homies is a pop-culture phenomenon, but it turns out that the practice’s origins can be traced basically as far back as recorded history. Noted as being one of the oldest known human customs, pouring one out, or libations as it’s more accurately known, is a ritualistic practice humans have been doing for at least 5000 years. Virtually indistinct from its modern equivalent, the key difference between historic libations and modern ones is that the earliest known group to do this, the ancient Egyptians (generally) didn’t pour out alcohol in reverence of their fallen kin and friends, but instead commonly poured out water- thought to be because of its rejuvenating power and its association with life giving. This said, Ancient Egyptians were known on occasion to pour out other liquids in memory of the dead including things like milk, honey and, occasionally, wine and other spirits. Whatever they were tipping, the general practice was to pour out a bit of the drink, imbibe the rest, and break the containers the drink was in on the ground, leaving the remains behind. The same is true of other cultures across Ancient Africa who, in addition to pouring libations in memory of others, did so to thank the gods and/or ward off vengeful spirits as the situation required. Moving to the Ancient Greeks, they similarly offered libations to both the gods and fallen comrades, usually in the form of sweetened wine which they’d pour a little of out before drinking in appreciation of whomever they were honoring. Jacob set up a pillar in the place where he had spoken with him [God], even a pillar of stone. He poured out a drink offering on it and poured oil on it. And, in fact, it would seem that virtually every other culture to have engaged in this practice throughout history (which judging by our research is virtually all of them ranging from the ancient Chinese to the indigenous Quechua people of South America) all did this for basically the same reasons- in homage to various gods or the deceased. Although some cultures certainly took this practice more seriously than others- our personal favourite being the Ancient Romans who created stone pimp chalices built into their tombs that mourners could pour wine into, as well as drop various food items in. These chalices would even sometimes contain a sophisticated draining system, with these libation tubes funneling the alcohol or other item directly onto the corpse. Yes, in this case mourners could literally pour one out onto the rotting skeleton of the person being honored, which is probably the most metal thing we’ve ever talked about here. In the Western world this type of practice did see a sharp drop off with the rise of Christianity, though still endured across much of the rest of the world, including throughout Africa where it is still an extremely popular tradition even to this day. On that note, exactly how humans went from dumping gallons of wine onto the skeletons of their ancestors to ritualistically pouring one out onto the sidewalk while looking as threatening as possible in a music video isn’t definitively known. However, given that this was more or less introduced into pop-culture thanks to a variety of African American hip-hop artists, and pouring one out has been mildly prevalent in African American culture, particularly in the southern states, for centuries, it seems likely that this wasn’t something some rapper or producer came up with independently while planning out a video shoot. Rather, they were more likely already well familiar with it, at least in some form, and decided to incorporate the tradition into their act. This trope particularly saw a huge surge in popularity in the 1990s thanks to the likes of Boyz II Men and Tupac Shakur, with the latter directly referencing the act in several of his songs, most notably Pour Out A Little Liquor released in 1994. Shakur was so linked to this practice that it’s noted that one of the first things people did upon hearing he’d been killed was ceremoniously pour liquor out on the street corner he was shot– something that apparently still occurs on occasion even to this day. But to sum up, nobody is really quite sure who first got the idea of pouring one out for your homies, as it’s seemingly been something humans have done about as long as we’ve been humaning. But given our propensity to give food offerings to deities and ancestors seemingly throughout history, it’s not exactly a surprise that we also thought offering said entities a drink would be a good idea. 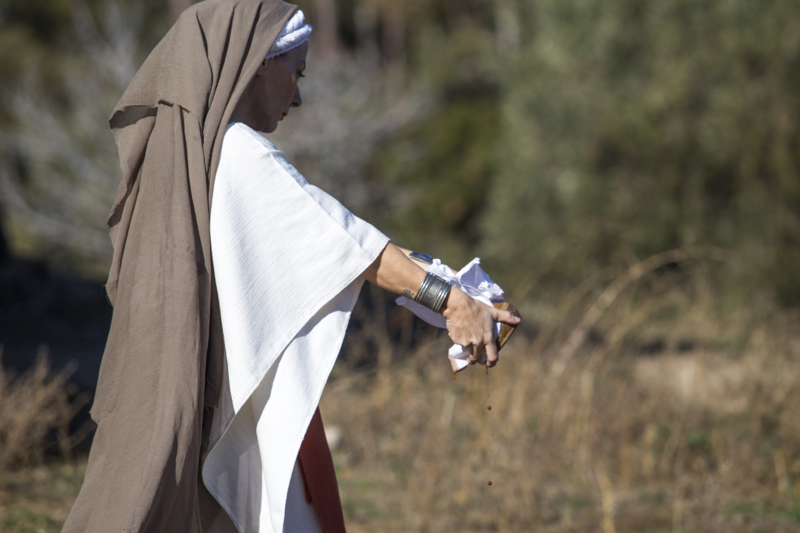 There is something very basic about pouring blessings into the earth. That is where you are buried… It figures into all world views and all religions. 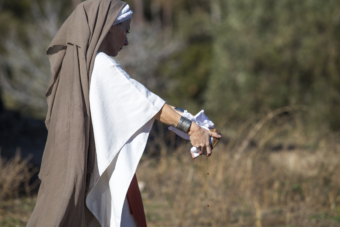 We initially emerged as people living very close to the earth, and the earth provided everything we needed… We poured libations to acknowledge that our love and insights do not come solely from us but from those who came before us. (1) Some in the African-American Pop Culture community do this as homage to the 1975 film “Cooley High” when the young urban characters would “pour one out for the brothers who weren’t there” before drinking. This was most impactful in the film after the death of character Richard “Cochise” Morris (an aspiring basketball star killed in a scuffle) as his close friend Leroy “Preach” Jackson mourns his death at his grave site and pours out a ritualistic drink for his fallen friend. (2) Another urban adaptation served to both honor the fallen as well as released the foam at the top of a 40oz beer/malt liquor bottle before drinking it.